Samsung has thrown various kinds of smartphones in the Nepalese and we all are well-known to it. The most popular smartphone, however, can be said as the J Series, because the smartphones are budget-oriented and have got some good features. The J Series consists of various smartphones out of which J7 is one. Samsung has introduced different varieties of smartphones in the J7 lineup, and this year, the company has introduced the J7 Max. 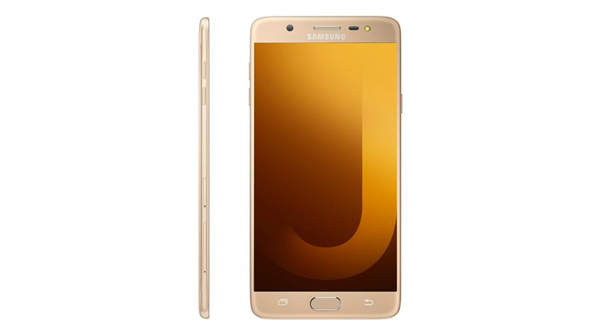 The Samsung Galaxy J7 Max has been built upon a metal unibody which makes the smartphone look sturdy and classic. The smartphone also possesses a curved glass at the front which protects the screen from getting scratched. The device, overall, looks premium while using it because of its bigger size. The Samsung Galaxy J7 Max features an earpiece at the top of the screen along with front facing camera, sensor housing and a front facing LED flashlight. Looking at the bottom of the screen, you can find out a physical home button, recent app and back buttons. The home button now also works as a fingerprint sensor, which I guess is a good thing. If we turn the device, you can see a rear camera surrounded by “Smart Glow ring” identical to the Galaxy J2 Pro and a LED flashlight at the side. The Samsung Galaxy J7 Max possesses micro USB 2.0 port followed by a 3.5mm earphone port and a microphone. The smartphone features a power key at the right side below the speakers, and the left side consists of volume keys along with SD card slot and SIM card slot below it. Moving towards screen, the Samsung Galaxy J7 Max, as per its name, possesses with 5.7 inches screen. The smartphone is featured with PLS screen panel, which could have been replaced with SAMOLED screen. The screen has got 1080p resolution which can be noted down as a good thing. The screen is bright, yet the color production is little bit cooler than it should be. Samsung ships the Galaxy J7 Max running with Android 7.0 Nougat and is clocked with Mediatek MT6457 Helio P20 chipset. The smartphone is also boasted with Octa-Core 2.4 GHz Cortex-A53 CPU and Mali-T880MP2. Gaming in this device is good, but you might notice some kind of lagging while playing high end games. The smartphone also acquires 4 GB of RAM and 32 GB internal memory. The Samsung Galaxy J7 Max, besides, is sported with 13 MP rear camera with the large aperture of f/1.7. The rear camera shoots some good pictures in the daylight condition with nice depth of field. The camera also works quite well in the low light condition, yet, it contains some noise. The smartphone also acquires 13 MP front facing camera with the aperture of f/1.9 that takes some really nice selfies. The front camera is accompanied with LED flashlight that helps you in the dark conditions. The Samsung Galaxy J7 Max, further, is powered with 3300 mAh battery. The battery has got good backup quality. The smartphone can go for whole day with the single charge. However, the smartphone lacks fast charging which might not be a good thing. 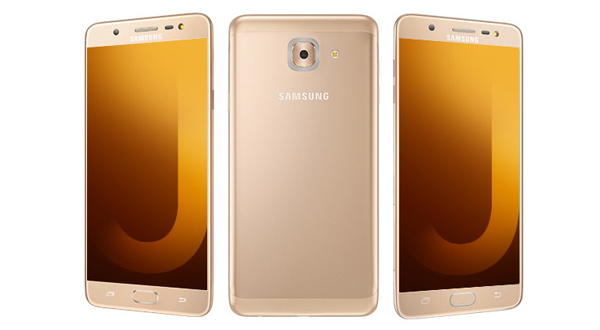 Moreover, the Samsung Galaxy J7 Max is available in two colors; Black and Gold.